SI joint pain is one major cause of back pain that can be caused from sports, impact, postural imbalances and even hormones from pregnancy. Most people only begin to pay attention to it when it starts to hurt. There are many resources available online that explain the ins and outs of SI joints, their structure and anatomy. Treatment options range from manual therapy to pressure belts to exercise and even surgery. When moving, you can either mobilize or stabilize the SI joints. While both can be helpful, today I’d like to share three great SI joint mobilization exercises we use at our studios. Stand on two rotating discs. Turn both legs in and out. Then keep one still and turn the other on it’s own. Make sure to keep the pelvis steady for this one. Get on your hands and knees with hands slightly in front of shoulders and knees under hips. 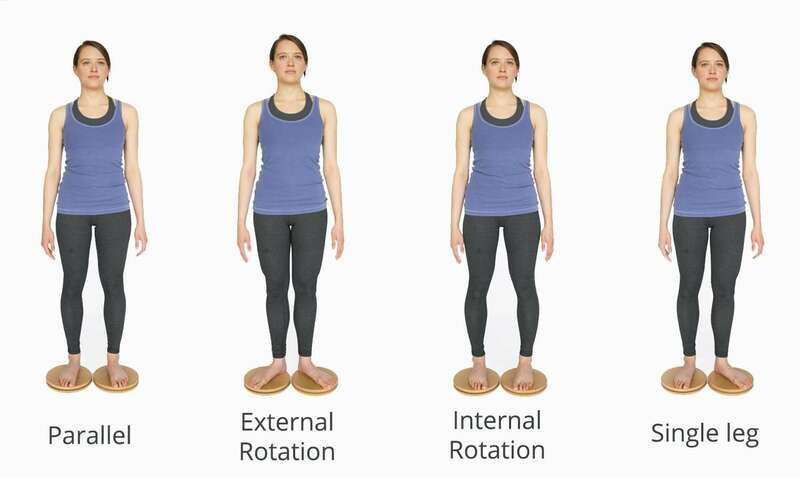 Press away from hands and sit back towards your heels as far as you can while keeping your back flat. Then press your hands into the floor and pull yourself up so your weight comes forward. The key to this one is keeping your back flat. Lay on your back, cross one knee over the other in a figure 4 position and bring both legs towards your chest. If it feels good, try pressing the thigh away at the top of the position. If you’re interested in learning more about SI joints and how they work, join Margot McKinnon at The Yoga Conference and Show on Thursday, March 31, 2017 or attend one of our complete Sacroiliac Joint: The Critical Functional Link workshops at Body Harmonics or one of our affiliate studios.